Last time we saw Peter’s thought process in vs. 7 that: “the end of all things is at hand, THEREFORE”. We noted it is not that the end of the world was about to take place, but rather we have entered into the “end times” – which culminate in the final and complete UNVEILING – REVELATION – APOCALYPSE of the glory of God in Jesus Christ. Christians, thinking and living like those genuinely translated out of the kingdom of darkness into Christ glorious kingdom of light, will stand out more and more in stark contrast to this present age. 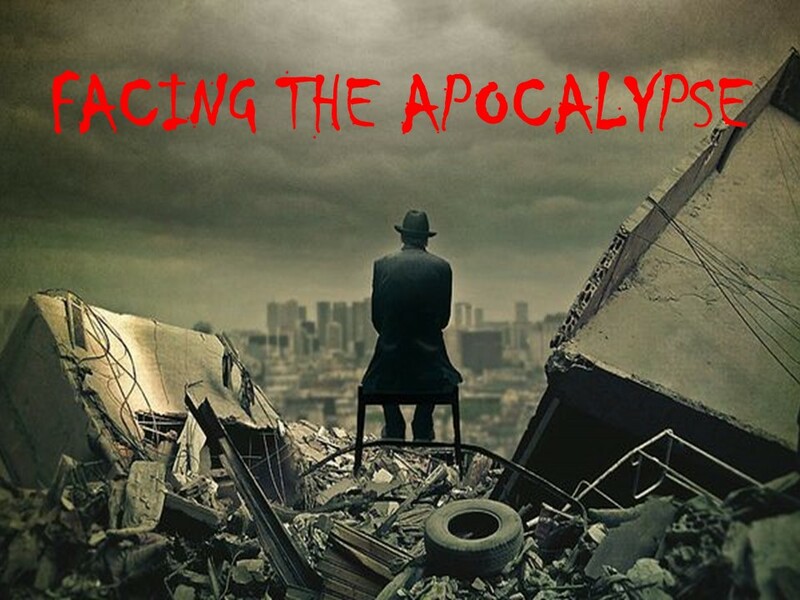 We are part of God’s “revealing” – His apocalypse. And this – for the sake of our prayers. And then he unpacks what this “loving one another” looks like. This would be especially applicable to Peter’s first readers. Experience shows us that when we undergo times of extreme or long term distress – for whatever cause – it is natural to turn inward and to stop thinking in terms of giving to others. Not only that, but as fallen, yet redeemed creatures, we are prone to think of ourselves in terms only OF ourselves, and forget that God’s plan in His revelation is a plan carried out THROUGH THE CHURCH. And from that point on as we progress through the NT, the focus is upon individual salvation bringing people into being part of the Family or People of God – which finds its expression in the local Church. We don’t get saved and remain alone or free agents. We are saved to be a part of His Body, His Church, His people. It is why Church membership is so important. Because we are not meant to live the Christian life alone, but committed to a group of God’s people as living and growing WITH God’s people – not in isolation. Note how the NT is arranged, the letters are all written to gatherings of Believers. The Church at Galatia, at Ephesus, at Philippi, at Colosse, Thessalonica, James – to the dispersed tribes – but in a community context, even Timothy and Titus are written to individuals as they organize and build up the Churches where they are. Philemon, as personal as it is, is written with a greeting which included to the Church which meets in his house. People gathered in local Churches is the great underlying presupposition of the entire NT – even as the land of Israel in the OT is to the People of God as His people. No one can read anything in the Word which is not addressed to a group larger than themselves alone – it is for people in the context of the Churches in which they live and function and grow and minister to others. Peter then warns them that this must be guarded against. Don’t stop “apocalypting” – by failing to love one another, and not from afar, in theory only – but earnestly – which will necessarily involve – covering a multitude of sins. The Church is not seen as just that mass of unconnected, individual Christians, but the Church as gathered communities of Believers. For mutual prayer, counsel, comfort, confrontation and even conflict – so that we might learn how to grow in grace, since Christ’s goal for us is to be conformed to the image of Christ. This, Peter locates in 2 things, the 2nd of which flows out of the 1st. Which he then supplies us with several examples of in vs. 11. What does it mean for love to “cover” sins here? What sins is he talking about that love “covers”? When most of us as Christians for any time think of the “covering” of sin, our minds go back to the imagery God gave us in the Holy of Holies, where the cover of the Ark of the Covenant is referred to as the Mercy Seat. Where the blood of the sacrificial lamb on the day of atonement is sprinkled and the sins of the Jews were “covered” for another year. The word for “atonement” in the OT comes from a word which means to cover with tar or pitch. It makes it first appearance in Genesis where Noah is told to seal the Ark with “pitch” – with this covering that allows the Ark to carry them safely through the outpouring of God’s wrath without harm from the flood. It implied making the cracks and the defects invisible behind this pitch. Then in the Tabernacle & Temple, the word is co-opted as blood is applied to the mercy seat or the cover of the Ark of the Covenant. And there, it is not a repeated action – but something done once and for all so that the Believer can be permanently reconciled to God the Father through Jesus’ work on the Cross. But Peter’s word here is not the same. His idea of covering here is not in propitiating for sin the way Christ did. This word is more common and having to do with covering up other’s failures, so that they are not exposed to others. It is even used of burying, of being completely covered over. And this kind of covering another’s sins in love, Peter says is to be done “earnestly” – i.e. pursued actively over and over again. Who can write the long sad tale of how Churches and Christians have been disrupted and divided because Christians have never learned to cover one another’s sins in love? Because we take slights and careless acts into ourselves and allow them to fester and grow and become malignant and destructive. Christians are not to be thin-skinned – thrown by every bruise. No, not EVERY sin can be dealt with this way. Where there is repeated sin which shows a true pattern or habit, we need to go to our brother or sister’s aide in helping them get free of it. Or when serious spiritual damage by leading others into sin or false doctrine, or when those things are public and are ACTUAL sins, and not just things we don’t like or aren’t our taste or are uncomfortable with – the Bible spells out courses of action which can be taken. But this is the FIRST course. Move past it and on to more important things. Did you catch those “love bears all things, believes all things, hopes all things, endures all things”? They’re not a cast offs. Love’s 1st assumption is that the other person is NOT out to hurt me. If you are the kind of person who gets angry when someone steps on your toe, rather than just saying ouch – you’re in trouble, and the Church with you. If you bear with nothing – you fail to love. It is not the Spirit of Christ to prosecute every little offense – either formally or in our hearts! If Jesus had spent His time on earth fencing with everyone who slighted, slandered and poked at Him – He’d have had no time nor the frame of mind to minister so freely to everyone. And He certainly would have not been prepared – to say “Father, forgive them, for they don’t know what they are doing” on the Cross. With everything else we’ve discussed, in these hard times – keep loving one another. Do it earnestly and persistently. It is seated in the recognition that the Church is comprised of broken people living and working with other broken people. And do it so as to cover a MULTITUDE of sins, not just one or two. Which shows itself in the Church in the next verse. Since these tiny little Churches were forced to exist only in homes – the spill over is evident: Don’t stop doing Church, hosting worship and fellowship in your homes in light of these personal issues. Invite them still and without a grumbling heart. For to worship together and hear the Word taught together and to pray together is of the utmost importance. And in that – 10 As each has received a gift, use it to serve one another, as good stewards of God’s varied grace:” – don’t stop using the graces God has given you to bless one another. How hard our hearts can become – so that over the littlest things we can withdraw and not live to serve the Body of Christ with the gifts He has given us. I communicated with a pastor not long ago, who found himself surrounded by a core of people who – over disagreements about petty things – decided they would show their displeasure by simply defunding the Church – refusing to give as they formerly had, in order to punish the leadership. They let bitterness rise up in a situation where I know for a fact after investigating it personally – it was not serious sin which was at the root, but mere disagreements over procedures and preferences and power. And they covered no one’s sins – but did what they could to expose them – and that, after sometimes even inventing sins! They stopped receiving others but rather turned people away from the assembly. And they robbed the Church not only of their monetary gifts, but of any true means of ministering Christ to others – because they were ticked off. And the damage to the Church was horrific. Almost causing them to close their doors. And this, not as Peter’s readers, spread out in hostile foreign territories, but here in the midst of the relative ease and prosperity and freedom on our nation. Don’t stop serving one another with the grace God has given you. Whether it be in word or in deed (as vs. 11 is demonstrating) – continue to gather and to bless so that in EVERYTHING, God may be glorified – revealed, “apocalypted” through Jesus Christ – as you are His servants serving in His Church in this world. Because to Him belong glory and dominion, forever and ever. And if it be forever and ever, NOW, falls right in the middle of that. Oh, to be truly His lights, shining in this dark place in lives committed to His glory in the Church.